In the aftermath of Edward Snowden’s revelations about potential mass surveillance, it’s become increasingly important for users to have better privacy and security features in their messaging apps. Viber, one of the world’s biggest messaging apps with more than 800 million registered users, is continuing that trend by introducing self-destructing messages on its platform. The feature is being called “Secret Messages” and works pretty much as you’d expect — it lets users start entire conversations that self-destruct after a set time. It also blocks messages from being forwarded, notifies you when a screenshot is taken on iOS, and blocks screenshots altogether on Android. All Viber conversations and messages are encrypted end-to-end — whether they’re secret or regular chats — and users also have the option to lock secret chats with a PIN code as well. If you don’t want to create an entire conversation around self destructing messages, you can also have a self-destructing timer for individual photo and video messages in regular chats. 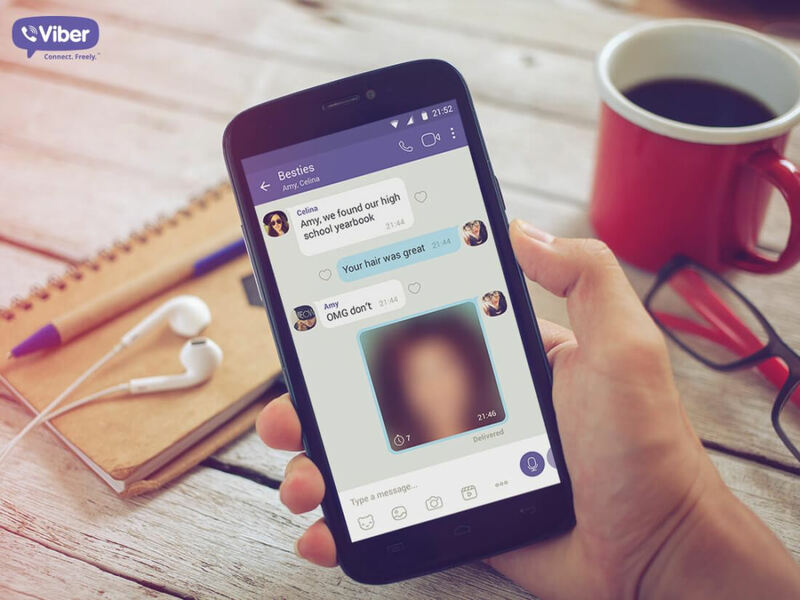 Viber’s secret chats function should be rolling out to users on Android and iOS early next week.